Introducing the new THEFACESHOP Dr. Belmeur skincare range by The Face Shop Dr. Belmeur! 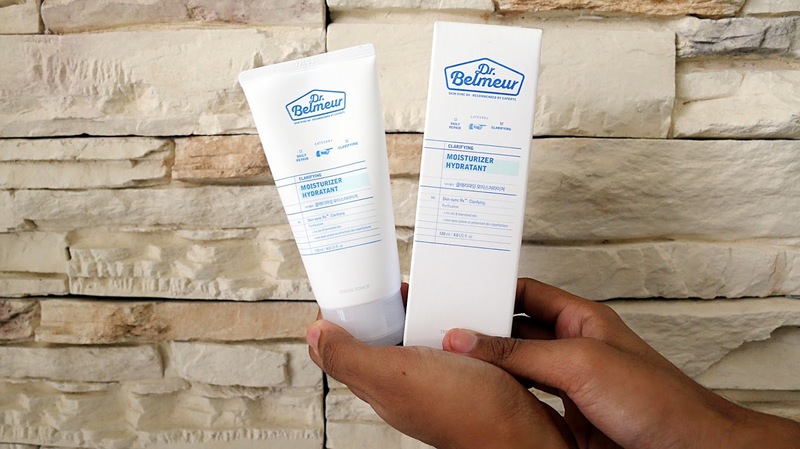 This time it is created perfectly for people who have trouble & sensitive skin. 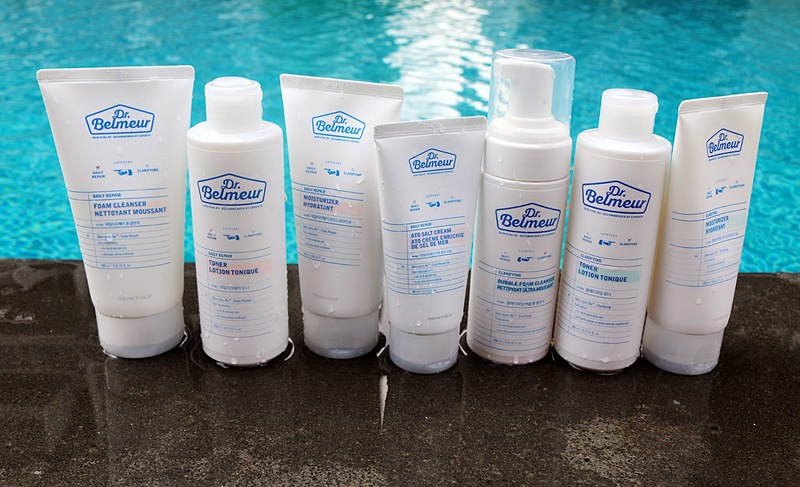 This range features a cosmeceutical formulation. Which means it uses mild plant-based ingredients & has a low irritant formula that is perfectly safe for sensitive skin. 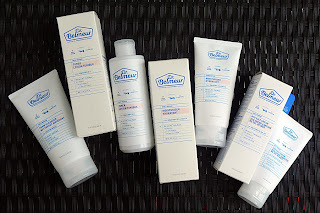 Women & Men aged between 13 - 30's that has skin trouble such as oily skin, acne prone skin, dry skin & sensitive skin need to check this skincare range! 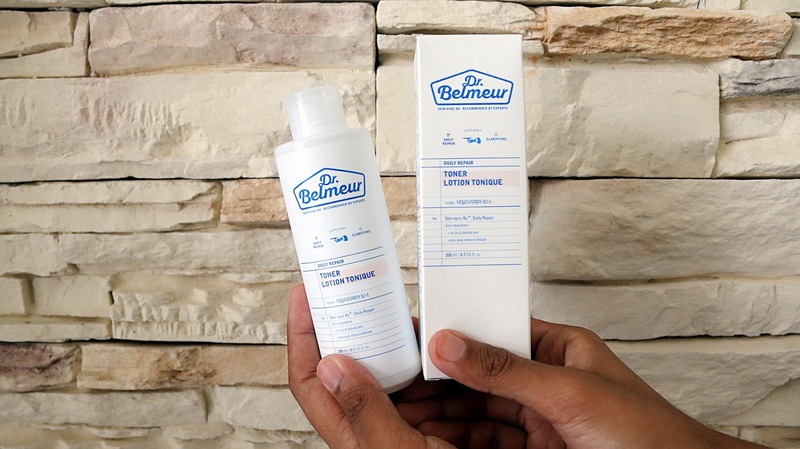 Cosmeceutical skincare is hard to find in stores as they are expensive, but THEFACESHOP Dr. Belmeur is a great option for that. From the French word “bel” which means lovely/happy and “humeur” which means mood. 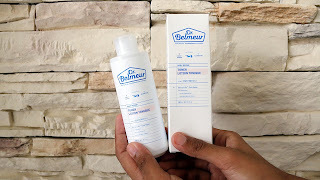 THEFACESHOP Dr. Belmeur is actually not a name of a dermatologist, but it is the Face Shop’s very own cosmoceutical* line to solve the daily concerns of people with sensitive and/or oily skin types. As city people, we are all familiar with clogged pores due to the fine dust surrounding us. THEFACESHOP Dr. Belmeur is here to save us – without irritating our skin! All these products are fragrance-free, formulated with no additives, and dermatologically-tested so they are all gentle enough for everyday use. 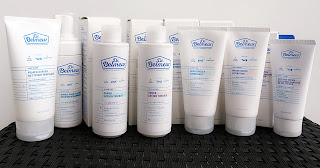 The star product of the line though is the THEFACESHOP Dr. Belmeur Ato Salt Cream. It contains 8% dead sea salt to provide deep moisturization and itch-relief for dry skin. 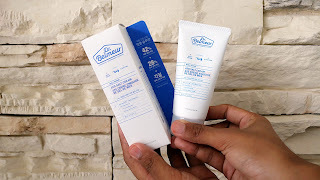 I tried this myself and I’m glad that I have found a new product that can help with my skin issue! My skin stayed moisturized all throughout the day. Using harsh cleansers to clean your skin will strip away the natural oils that protect it from dirt, pollution and other factors that can easily damage your skin. Do your skin a favor and use mild cleaners, they're much gentler and still effective. Our skin is naturally acidic, normally with a pH balance of between five and six. After cleansing, due to the alkaline nature of soap, the pH balance of skin gets disturbed. When this happens your skin needs to work overtime to restore the balance (and that may result in more oil), but using a toner helps to restore this balance quickly. 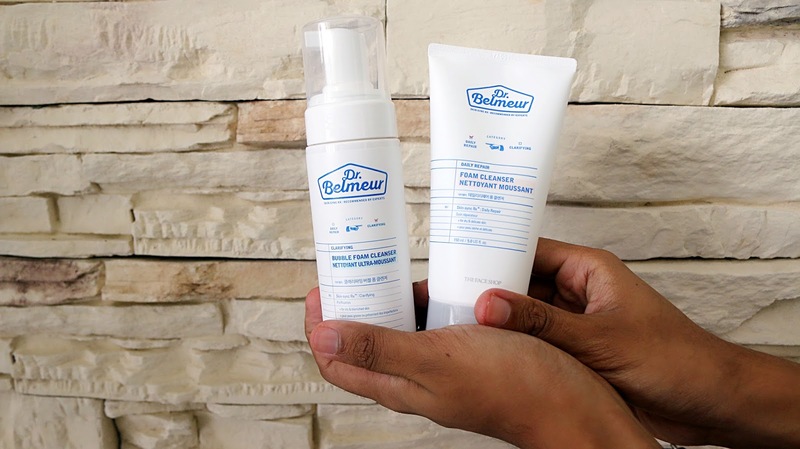 Facial toners provide hydration to your skin, which is essential to maintaining elasticity, smoothness, moisture and a more youthful appearance. Proper skin hydration reduces the signs of aging skin and provides an effective base for the application of facial cosmetics. Many facial toners also provide vitamins and other essential skin nutrients to keep your skin healthy and balanced. 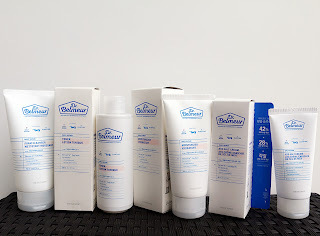 There are several types of moisturizers you can choose from, according to your skin’s needs. It’s easy to choose a moisturizer based on your skin type. There are formulas for oily or acne-prone skin, sensitive skin and dry. You’ll also notice that moisturizers have different textures. Even if you have oily skin, you can still benefit from the use of a daily moisturizer. And, no, moisturizers don't have to leave your skin feeling greasy and looking shiny. The trick is in finding the right product. Moisturizers are used to improve skin's hydration (think water-content of the skin, not oil-content). They work by slowing the evaporation of water from the skin, helping to keep skin hydrated. 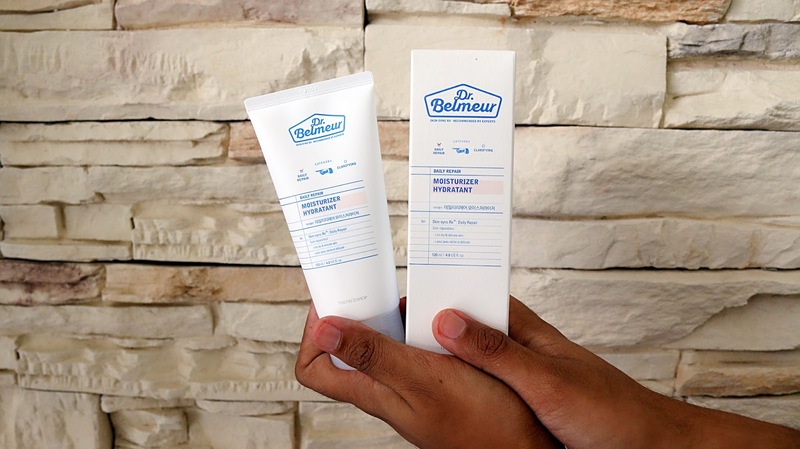 Moisturizing creams and lotions reduce moisture loss and increase water content of the epidermis. Moisturizing products aren't just for, well, moisturizing. 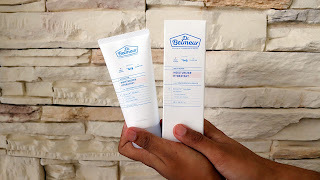 They also form a protective barrier on the skin's surface and give the skin a soft, smooth feel. I have oily and acne prone skin. 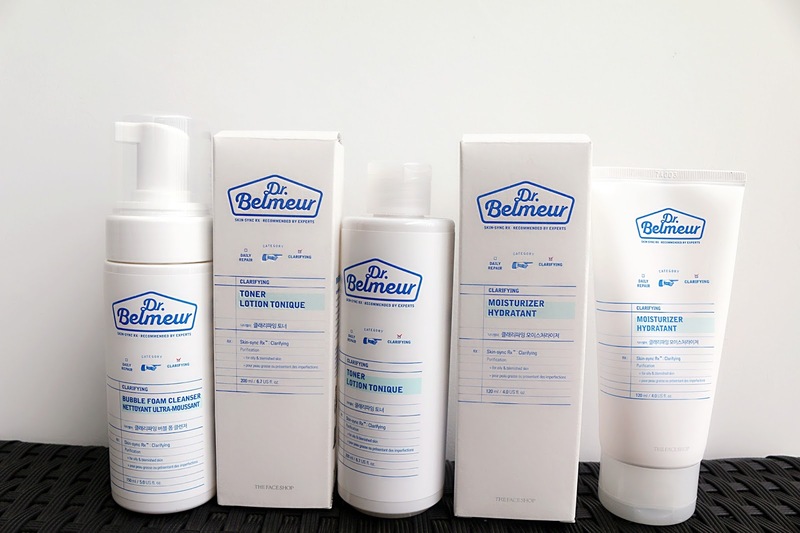 In THEFACESHOP Dr. Belmeur skincare range, comes in 2 different categories that you can choose. Daily Repair (dry and sensitive or hypersensitive skin condition, Clarifying (for oily & acne problem skin). THE FACESHOP Dr. Belmeur Skincare has a skin sync formula. It means, that it closely resembles to our skin structure, which is easily accepted by our skin, this allows full absorption to your skin. 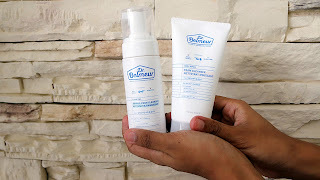 It has a very mild formulation which is safe to be used even you have a very sensitive skin. It is mild plant-based ingredients & fragrance-free. 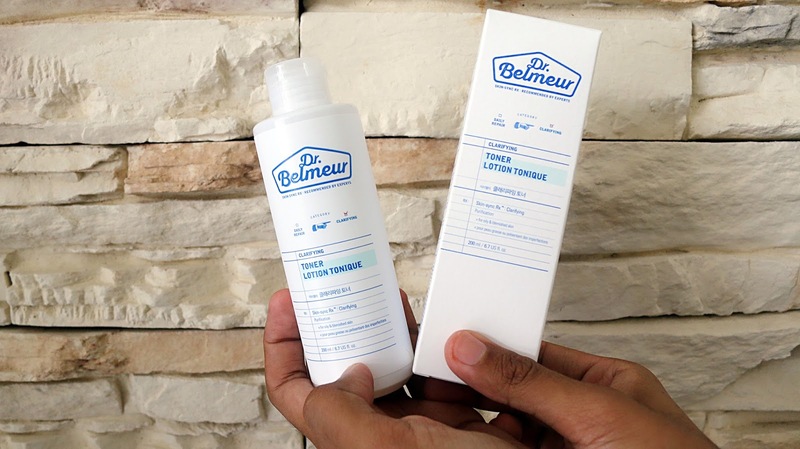 The toner is formulated with low irritant formula. 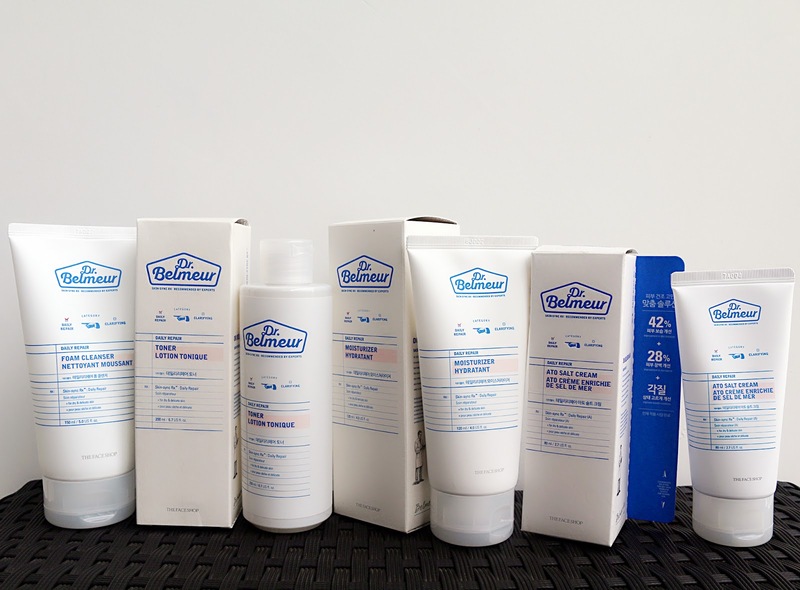 Each bottle contains 200ml of product and comes in a very convenient bottle that allows you to dispense the product out nicely onto a cotton pad. This toner has a clear syrupy texture, not too watery, and not too thick. It has an ingredient called Polymeric Water Gel System. This helps to hold in moisture to your skin. It has a natural Fresh Berry + musky scent. Best to be used after you cleanse your face. Each tube comes with 120ml of product. This moisturizer has a very light, bouncy cream texture. It does not leave any stickiness to your skin and has a very refreshing finish after you massage it into your skin. It has a natural fragrance of Rosemary, Lime & Tea Tree. A very soft citrusy fragrance. This best to be used after applying toner. The star product which is also my favorite among all. This is The Daily Repair Ato salt Cream. It contains 8% Dead Sea Salt. 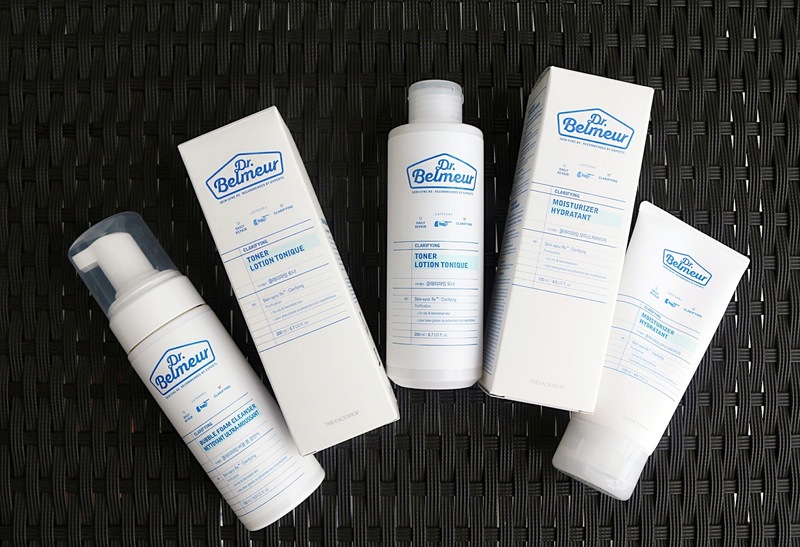 It is an excellent product for eczema problem too! Why? The Daily Repair Ato Salt Cream are formulated with dead sea salt, which can help to soothe the itchiness of the skin. Iit has a very soft cream texture which absorb so nicely onto skin. This can also be used for your whole body!